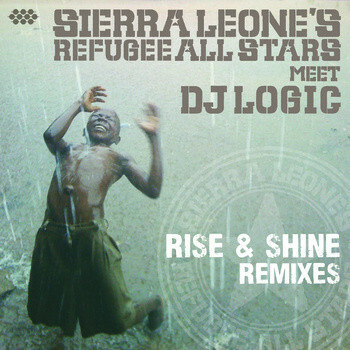 If you liked the Sierra Leone's Refugee All Stars last album "Rise and Shine" (Cumbancha) - and we here at WorldMusic.co.uk certainly did - then you'll be really interested in this spin-off from it! As the founder of Project Logic and frequent collaborator with jazz and rock artists such as Vernon Reid, John Mayer, Medeski Martin & Wood, Jack Johnson, Christian McBride, Carley Simon and more, DJ Logic established himself as one of the go to DJs for live band collaboration. His improvisational approach to composition and production is captured on more than 8 albums under the Project Logic or DJ Logic name.